Do you have your guilty pleasure movie, dear reader? You know, that one movie you shut your door to watch, you hide under all your other DVDs hoping no one sees it, that one movie that you would NEVER say is your all time favorite, even though you've seen it more times than you've seen the sun set. Now while these five films are not the guiltiest of my guilty pleasures, they are some wonderfully creative and entertaining costume dramas not many have heard of, or--more likely--feel like unabashedly discussing. Join me, as we journey through the 18th Century centered costume drama and five movies you're bound to love (hopefully). I start with the obvious. Mira Sorvino's acting (and normally she's a great actress) is AWFUL, pull out your teeth because sugar hurts them awful. But once you get past this, unfortunately pronounced, fact the movie is sweet and ironically funny. Base upon the Marivaux play Triomphe de l'amour first performed in 1732, Triumph of Love is a "classic French comedy" (ie - historically classic, not a film made in France and reflecting the allure of the culture) which bases itself in masked identities and witty dialogue. The short version: a usurper Princess falls in love with the rightful heir to the throne, Agis, who lives with the philosopher Hermocrates and his sister Leontine, from afar. Wishing to have Agis fall in love with her and humiliate those who have kept him from her, she disguises herself as a man of nobility and tries to infiltrate Agis's heart. However, while trying to win Agis's love, she makes both Hermocrates and Leontine fall in love as well. Anchored by Sir Ben Kingsley and Fiona Shaw, and lightened by a strong supporting cast, Triumph of Love is an 18th century period piece at its intellectual best and worst at the same time. My dears, please don't berate me and go into the sordid and cruel real history of the Abduction Club. Trust me, I've been "schooled" on it before and believe when I say that this movie is still adorable. Most people, actually I feel safe in saying practically everyone who hasn't taken 18th century upper class Irish social history, has never heard of the historical Abduction Club. The film, on the other hand, is a movie so lovely I can't believe costume drama lovers have never heard of it! Picture it -- roguish men who are second or third sons, never set to inherit any of their father's fortune, abducting young rich ladies and asking for their hand in marriage, all based upon the highest premise of honor and duty and the fact that this girl already loves the abductor. This is the plot, and then you throw in Daniel Lapaine and Matthew Rhys and well what girl wouldn't want to be abducted? Of course one should have a fortune if they wish to be abducted, most of the time. When I found The Abduction Club it was like finding a best kept secret. Its adorable and goofy and the actors have wonderful chemistry. This movie is one of my favorites, and SO not a guilty pleasure. We're going with a theme here dear reader, I think. You see The Clandestine Marriage is set in basically the same period as our last two movies. 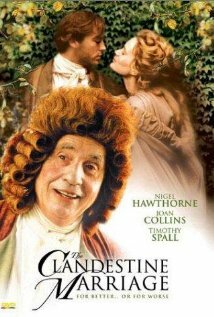 There is just something about 18th century period pieces that MUST be guilty. The Clandestine Marriage--as stated in the title--starts with a marriage that must be kept secret. Filled to the brim with some of our favorite character actors: Emma Chambers, Tom Hollander, and Timothy Spall, the film centers upon a marriage of convenience that suffers all the inconveniences imaginable, including the groom falling in love with the bride's secretly married sister. And then there's the very silly and very foolish father of the groom who just wants to marry a lovely, young anything and will work his dashing whiles as hard as it takes to get it. Ben Whishaw is masterful as Jean-Baptiste Grenouille, and orphan rat of the streets who has an exceptional nose. Tutored by a famous perfumer (who uses him more to create scents than to learn the trade) Jean-Baptiste discovers the foundation of creating perfumes. And then Jean-Baptiste decides to make the perfect perfume, and it will take the illuminating scents of 13 specific women to make it. When finished, the smell creates unimaginable euphoria and lust. This dark and haunting movie is a remarkable twist in costume dramas and brings us the first leading role for our dear Ben Whishaw. He's a murderer who doesn't fully understand that he's committing murder; he's a young boy driven to make something of perfect beauty no matter the cost. 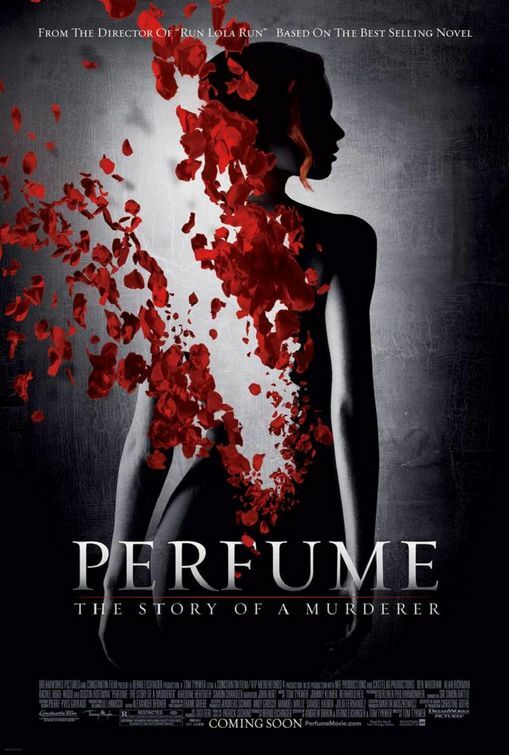 Perfume was shocking when I first saw it, and even more interesting the second time around. Like Perfume, its more of a murder-mystery movie that just happens to be centered in a past century. I prefer --especially since this is certainly one of my top guilty pleasure movies-- to watch this one in the middle of the night with the subtitles on. 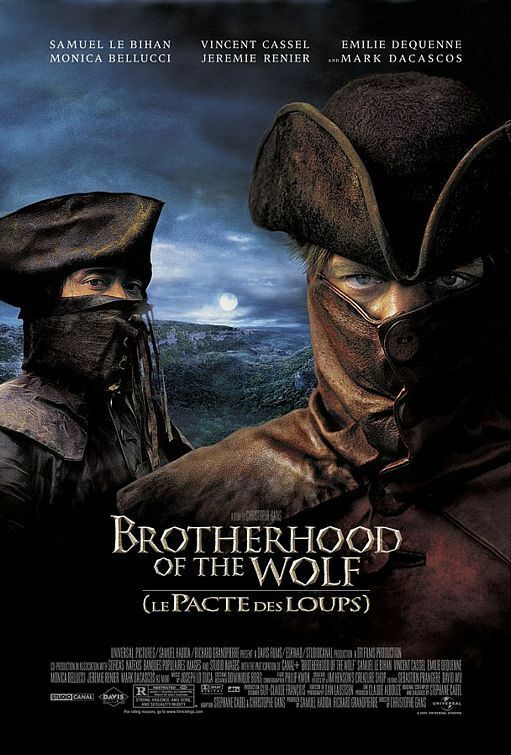 Based on the 18th century study of the beast of Gevaudan, The Brotherhood of the Wolf follows Gregoire DeFronsac and his trusted friend Mani as they try to discover just who is killing in the forests of France. I think I enjoy this movie basically for Vincient Cassel's Jean-Francois de Morangians who is one seriously dark and creepy character. There is never a better way to spend a Thursday night than watching this foreign film.